When you spend hours trying to solve that irritating math problem, you probably want to meet the person who invented homework and have revenge upon that maniac. Doing homework awakens only negative emotions in every student in the world and they all wish there was a law stating that’s this activity is a pointless waste of time. But homework is a vital part of an educational process and we can’t ignore it. Or can we? And who invented homework? Who came up with the idea of making students suffer not only at school but at home as well? Let’s find out. Roberto Nevilis invented homework according to some sources but nobody can really prove it. He was a school teacher in Venice (Italy) and used homework in 1095 to punish his students. There’s also a chance of homework being invented long before that time. There is no reason to ignore the possibility of someone inventing homework during the times of Ancient Greece and maybe even earlier. As to some evidence we can rely on, homework assignments were first mentioned in the times of ancient Rome. They belong to the works of Quintilian who was the teacher of Pliny Junior and are go back to the 1st century AD. 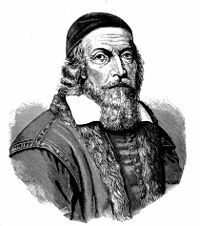 John Amos Comenius – the father of modern education – introduced a lot of new and effective methods of teaching children, like attending classes and progressive studying process going from less complex concepts to more sophisticated ones. Since that time and until now, homework assignments have become an integral part of students’ lives. He is one of the most appropriate candidates for taking your revenge, therefore. But the things were not so depressing for schoolers throughout world’s history. Homework was not always that popular in America. There were times when your daily chores were by far more important than your homework and it was discouraged by the educational system. But already in 1990 the students of all grade levels were assigned with endless papers and writing assignments again. That’s the harsh reality of nowadays. Also, the recent studies show that the amount of homework an average schooler has to do today has increased compared to that in 1980′. That’s a disappointing statistics for poor students of today. Is There a Bright Future if You Don’t Do Any Homework? So far, we’ve found out whom to blame for the curse of the homework assignments and that there were homework-free times during the long history of humankind. So, is there an urgent need for it? Can we avoid spending our valuable time on solving math problems and writing papers and still get good results? Well, that depends. What is the purpose of those assignments? It’s for students to remember something they were taught in class and repeat the material on their own. But if you understand all the necessary information in class you don’t need to repeat it again and again. Let’s take Finland as a bright example of a country that successfully refused of assigning homework to schoolers. It shows that not doing homework doesn’t prevent you from going to college and getting a decent job. Every two of three Finnish students go to college and it’s the best index in Europe. This information is very encouraging and makes you believe in a possibility of living the life with no homework some day. But meanwhile students all over the world keep struggling with their assignments. It’s not always a lot of fun to read your chemistry textbook trying to understand the algorithm of solving problems but you become smarter and get a new experience with every new assignment you get. And if you get stuck and need some urgent help, you know where to find it. There are numerous online resources that can assist you. You might be interested to know that Finland was ranked #1 in education a few years back. In finnish schools there is no homework and if there is any it’s something like 10-20 minutes and not mandatory. School days are also afaik shorter than in other countries. Finland doesn’t have shorter school days and homework is assigned from pre-school to the last course you take at an university. Not sure where statements come from in http://neomam.com/blog/there-is-no-homework-in-finland/ (there are comments about the statement being obviously false though). Sources: I am a finnish guy. If I were a teacher, I’d try to offer challenges to my students. Small multidisciplinary projects where they can exercise the concepts studied and see in practice the results. honestly, the issue isnt if you can “learn” the material or not, the issue is that on a global scale, can you compete? Lets make an assumption that we are all set out to compete the best and top paying job in the world, the key to get into those jobs is to graduate from a top 10 MBA program in USA, now good grade and from a good under grad program increase the chance to get into such a MBA program. so, by not compete with ppl only from Finland, you take all students and drop into a bucket, can they compete with ppl who spent a lot more time study, practice and doing homework? if a typical Chinese student’s regular school hour is 7 am to 4 pm, then private school from 6 pm to 10 pm. Homework should be optional (at least for children). Childhood is a time to play and to be happy. A good teacher, teaches at school and does not pass ‘the responsibility to parents or students after spending almost the whole day at school! Yes, I think that the feeling of unhappiness or frustration remains in children after all these years. Probably, in Amos Comenius’s time, children didn’t spend so many hours at school. There is a similar a problem at work, people would be proactive if they had time for leisure with their families, in the afternoon. because if the student doesn’t wanna do his/her homework, or simply not interested and just scribble to get it done and over with, it’s still a waste of time. Like wut is wrong with people ? ?